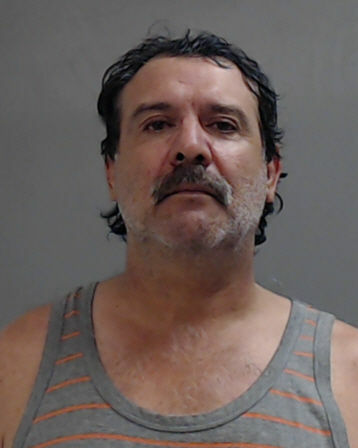 A Mission man was arrested for allegedly pulled a gun on his brother-in-law during an argument stemming from comments made to each other at a gathering, according to local police. Mission police arrested Ramiro Marichalar, 53, on Sept. 29 on criminal attempted murder and possession of brass knuckles charges after officers were called to a deadly conduct call at a home in the 1700 block of West 17th Street at approximately 6:45 p.m.
Marichalar allegedly pointed a .45 caliber handgun at his brother-in-law, according to the probable cause affidavit tied to his arrest, and pulled the trigger. He is accused of searching for ammunition in his truck when the weapon did not fire, allegedly returning with a baseball bat and threatening to strike his relative before getting in the vehicle and unsuccessfully attempting to run him over. When police arrived at the residence, they found both the handgun in Marichalar’s waistband and a set of brass knuckles, which are illegal in Texas, in his pocket. Mission Municipal Court Judge Jonathan Wehrmeister set the bond on both Marichalar’s second-degree felony and Class A misdemeanor charges at a combined $255,000, and he remained in jail as of Tuesday evening. If convicted of the more serious charge, criminal attempted murder, Marichalar could face up to 10 years in prison.